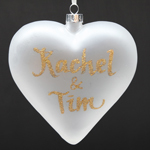 Personalising a gift makes it extra special, it shows that you have taken the time to really think about the gift and care enough to order it in advance; this is a really touching gift for someone to receive. 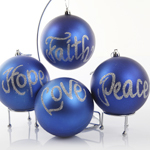 The Christmas Cart carfeully selects their Christmas baubles and ornaments to allow for a name or message to be added, making it a Christmas gift that will be treasured for many years to come. 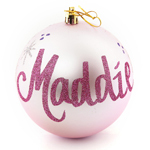 Each of our baubles are personalised by hand in glitter caligraphy, so our talented artists can complete any order - regardless of how obscure the name or message is! 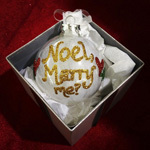 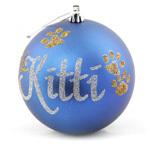 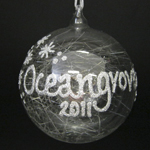 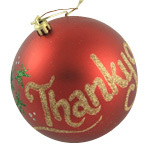 Here are some ideas for what to write on a bauble. 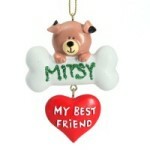 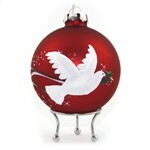 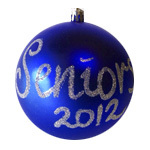 We also personalise a range of ornaments, stockings and even bon bons. 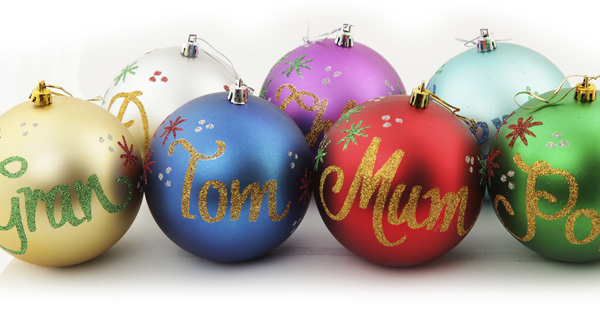 Our personalised gifts are perfect for loved ones, friends, colleagues, and for marking special occasions. 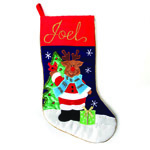 Buy now at our online Christmas shop or visit one of our many Christmas stores as it gets closer to Christmas time to view our wide range of personalised products. 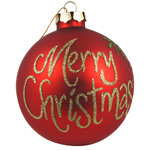 For more information on the products, or to make an enquiry do not hesitate to contact us or call us on 1300 72 47 10.